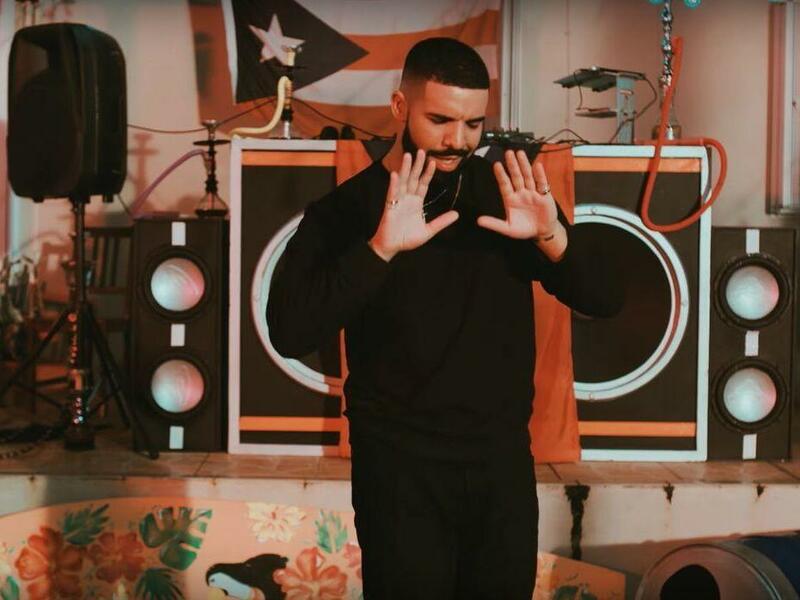 A new track from Bad Bunny, "Mia" features Drake rapping in Spanish. Any fan of Drake — or even just a casual Drizzy sympathizer — knows by now that this man has made a career out of shape shifting. The biracial, Canadian-born rapper (actor, singer, etc.) has adopted Island dialects and British slang in his music over the years. And whether listeners interpret these moments as friendly nods to the places where he finds inspiration or strategic swoops of a culture vulture, the moves work for him. But now comes the long-rumored collaboration between Drake and Bad Bunny, Puerto Rico's favorite rap oddball, with the release of Bad Bunny's latest single, "MIA," which comes with an accompanying music video that the pair were seen shooting late last month in Miami. "Dile que tú eres mía, mía / Tú sabes que eres mía, mía / Tú a mí me lo decías / Eso yo te lo hacía," Bad Bunny sings in the chorus while flocked by ladies at a house party. And Drizzy has done his Duolingo homework. On his featured verses, Drake exhibits an accent equivalent to a Boricua trying to finesse his way next to the prettiest girl at the party. "Porque todos te quieren probar / Lo que lo sabe es que oy / Lo te voy a buscar," he sings in the repetition.